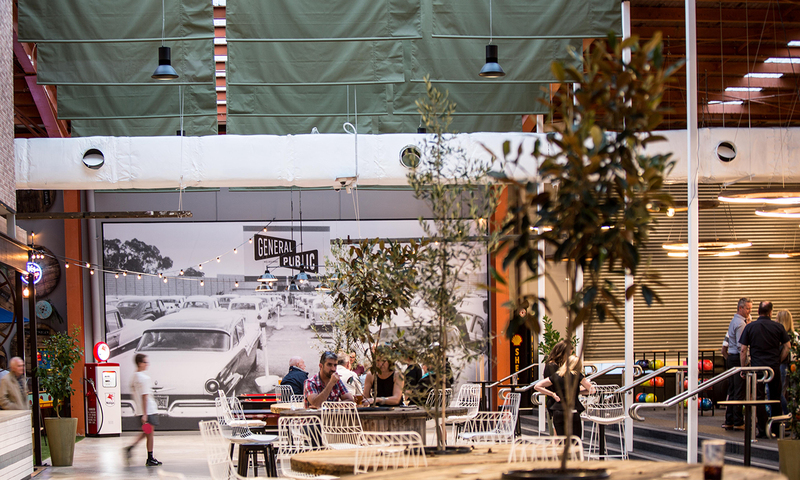 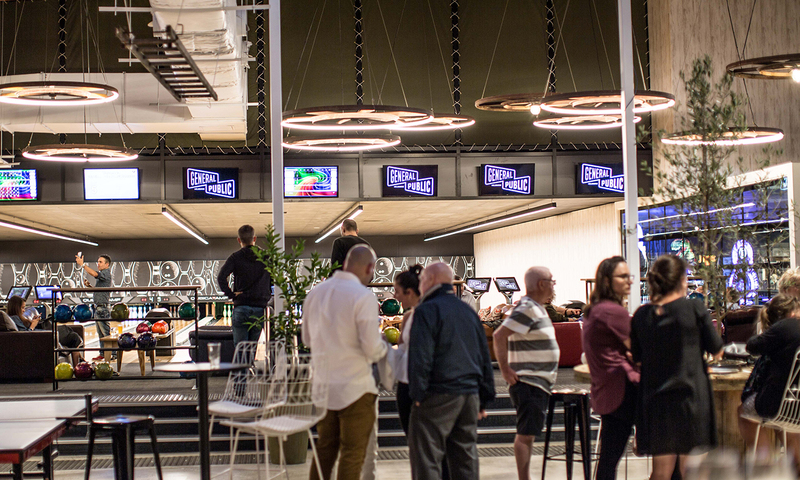 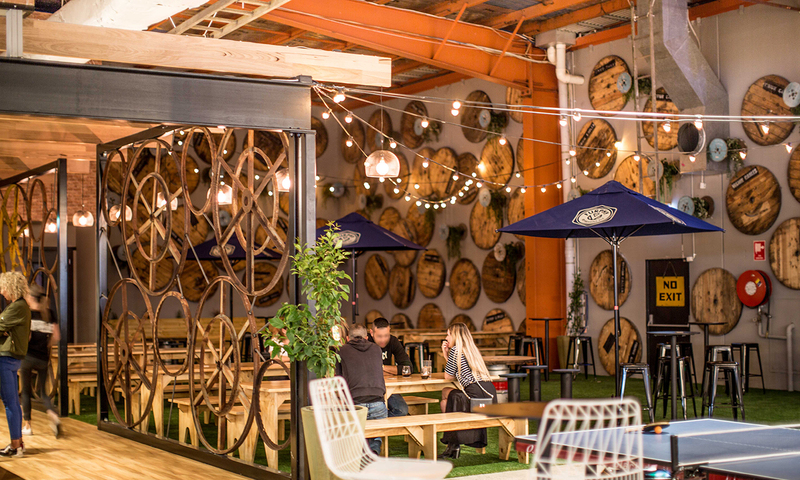 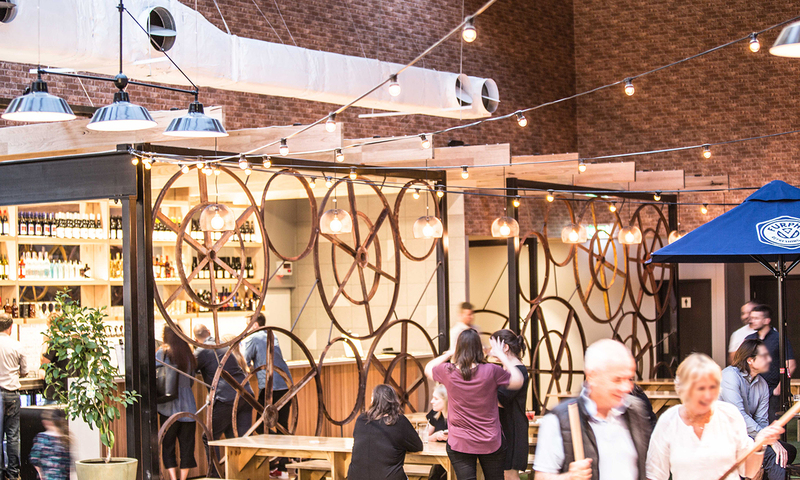 General Public entertainment venue combines a restaurant, bar, ten-pin bowling, arcade games and pool tables in the one venue as a playground for adults and kids alike. 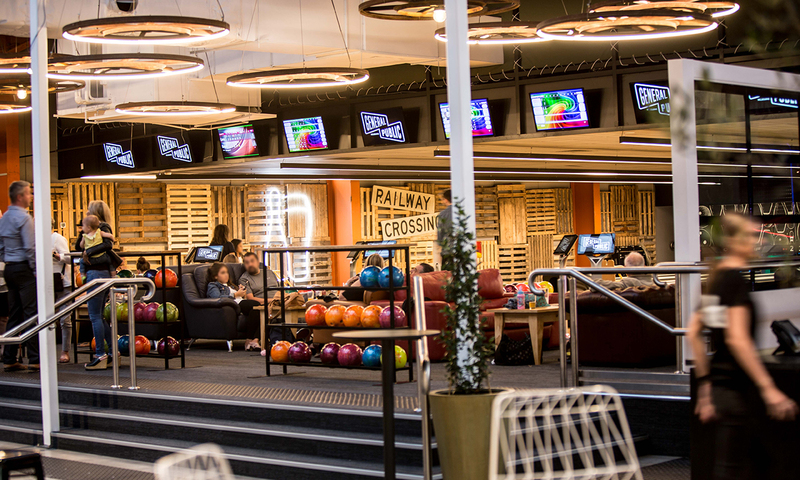 LPA worked alongside Two Design to meet the requirements of the lighting plan that required different lux requirements for the different areas of the venue. 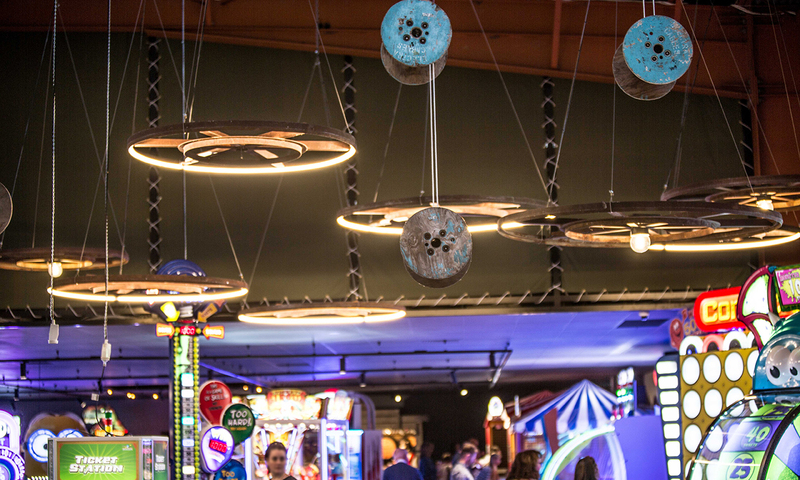 Custom feature pendants were created by using reclaimed wheels, LED strip and pendant lights creating a unique discussion point joining the multiple spaces together. 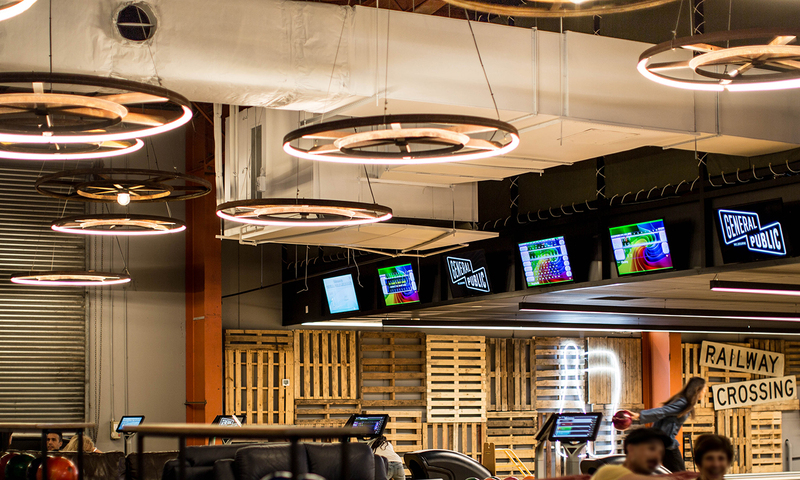 Linear LED pendants were carefully considered for height, space, and output – creating optimal uniformity across the bowling lanes. 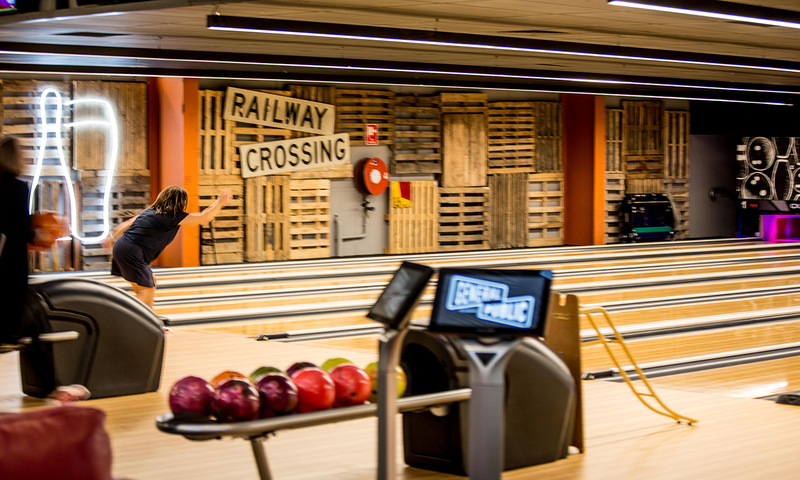 The remainder of the space being illuminated by track spots and recessed downlights complimenting the requirements of the individual areas.